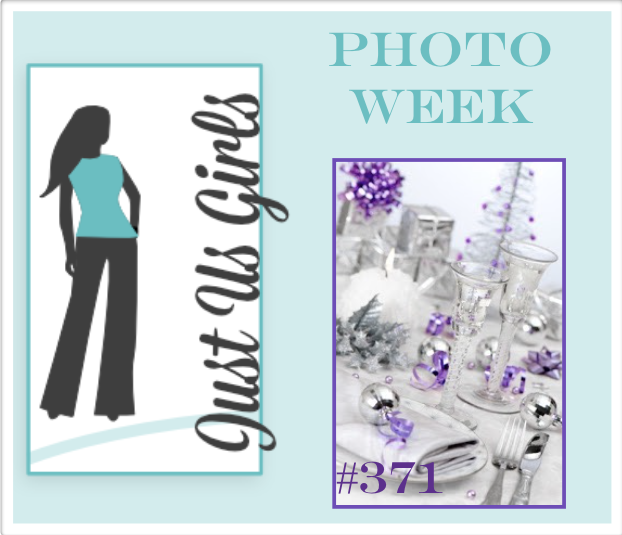 Hello Friends, It’s time for a new challenge at Just Us Girls! Vicki has picked the perfect Inspiration photo to help us get going on our Christmas cards! I challenged myself to make 4 cards a month this year with a finished date of December 1st, and I’m sure I am going to make it, I only need one more! Yaaaaahoooooooooo! I encourage you to do this next year, you’ll be glad you did! I sure am! I seem to be on a roll with my Verve Christmas Stamps and you haven’t even seen all of them yet. I am saving my four favorite cards that I have made this year for last. I can say that this is one of my favs as well! The photo doesn’t really do it justice…it’s much more sparkly in person! I primarily used watercolors on this card with a Paper Smooches bow with the negative left in…I think it looks cool like that. I finished it off with some Wink-a-Stella, some Stickles and two types of ribbon. You can’t tell in the photo, but I raised the sentiment to give the bulb some depth. So very gorgeous. I love the color. Love these regal colors on your card. Really makes for a beautiful card and I am sure it is sooo sparkly too . Can’t want to see the ones that you think are the best. Nancy, this is so gorgeous. Love it. Hope you had a wonderful Thanksgiving. Very pretty. Love the purple color scheme. Another gorgeous creation Nancy. Love the layout and how you left the ‘bits’ in that beautiful sparkly bow. Wish I had my Christmas cards done! Good on you. Kudos to you for making your goal, Nancy. This card is a lovely addition to your stash. Well I wish you would have told me about the 4 cards a month at the beginning of this year…lol. Now I’m scrambling to get my cards done…waaaay behind this year. Anyway, enough about me, I love your card. The design is just wonderful and I can tell a lot of thought went into it. Gorgeous take on the photo, my dear. Well done!!! Gorgeous card! I love the color scheme you went with~Your ornament is beautiful and love the sparkly silver bow! Awesome design! Beautiful! That ornament is gorgeous and I love how you raised the sentiment, it really does give it so much depth. Beautiful design and coloring, too. Beautiful design and colors. The purple is regal and gorgeous! This is so pretty Nancy! Love that ornament and the pretty silver bow!